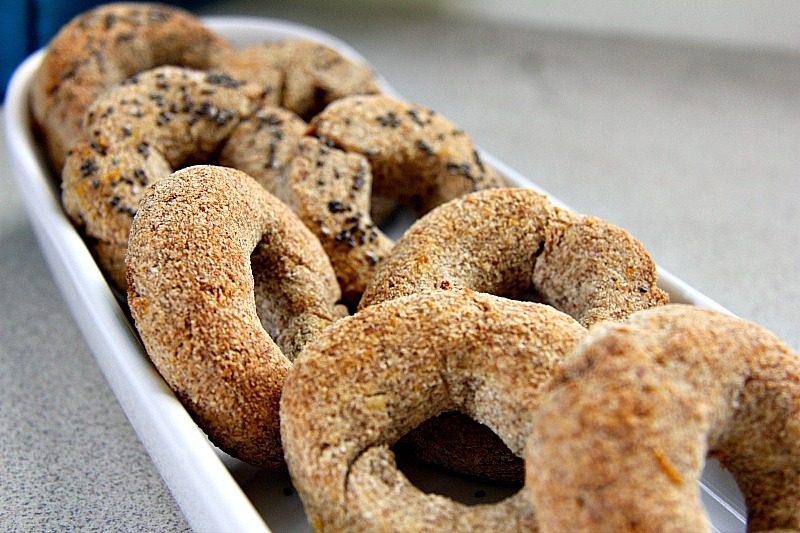 Mini bagels that are flavoured with orange and cinnamon, infusing your kitchen with a delicious aroma. Cinnamon and orange pair very well and if you stuck a bow on them you could call them festive! I had been playing around with this low carb and gluten free bagel recipe and wanted to bake cinnamon bagels. Orange is not something I normally cook with (carbs) but thought it make a nice change with the cinnamon. The smug look on my face as I was munching them confirmed I made the right choice! Although I have made mini bagels here, you could simply roll out larger ones and make 4 normal sized ones. Or even a giant one! 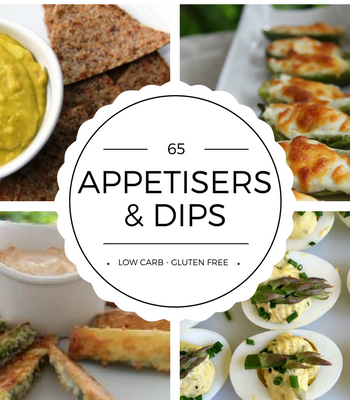 Keeping them small kept the net carbs down. It defeats the purpose though when you scoff most of them, then growl at the husband for approaching the plate. 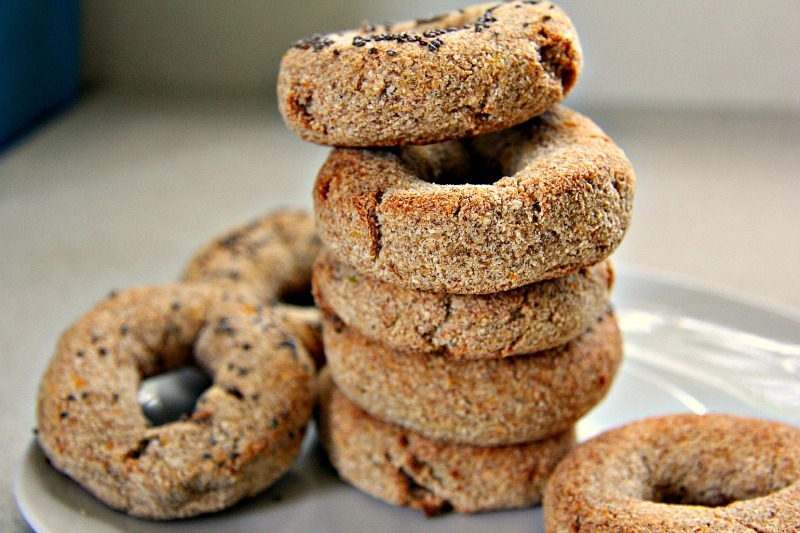 This mini bagel recipe was made without a donut tin, in which I have previously baked bagels in. Psyllium husk powder helps to give the bagels their more dough like texture and can be rolled out just like a “normal” bagel. As well as being great for gluten free baking, psyllium husk powder has many other health properties. It can help to regulate high cholesterol, triglycerides and blood sugar levels, aid weight management and relieve diarrhea and constipation. All this and it helps to bake a mean bagel as well as a bread roll! As you can see from the photos I had sprinkled some of them with chia seed. I didn’t include this in the recipe as it’s not essential as was just me having a playful moment. Reading that makes me realise I need to get out a little bit more if I consider playing with chia seeds a source of fun. Time for a new hobby! Using a hand whisk, mix the coconut flour, psyllium powder, cinnamon, salt and baking powder in a bowl and combine well. Add the butter, eggs, orange juice and rind and mix thoroughly until the mixture looks like breadcrumbs. Cut the dough into eight pieces. Take one of the pieces and roll into about an 6 inch log. Join the two edges to make into a bagel shape, pressing together firming. Planning on making these. How do you store them? And for how long? Thanks Angela, I’ll look out for it next time out shopping. Hi Angela, just noting that you use psyllium husk powder in a lot of your recipes. Could you buy it in Barbados and if so, can you remember where? 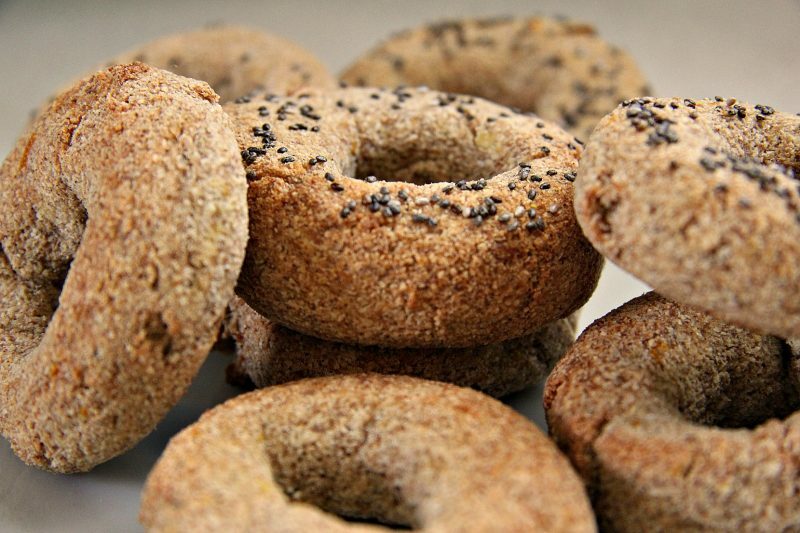 Would like to try these bagels, they sound yummy. Hi Lesley, you can purchase it from the pharmacy section from most Massy stores. It’s in a tall red and white tub but be careful not to purchase the orange flavoured one. There’s another brand that is sometimes labelled as colon cleanser. It’s the same thing but a different name. It’s my baking staple now for bread and bagels!